Successfully saved Pomegranate Mandarin Salad with Avocado and Feta to your Calendar. You can also save the ingredients to your Grocery List. 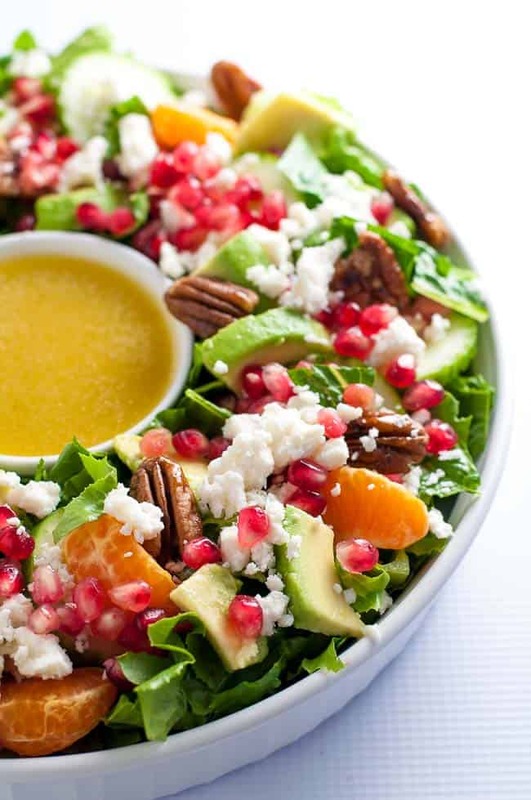 This Pomegranate Mandarin Salad with Avocado and Feta is a festive salad for any winter meal! It's bursting with fruit rich in Vitamin C, crunchy pecans and creamy avocado. Top it with crumbled feta or goat cheese.